“Wha … t, Luck … Kh .. Khushi”, Arnav shouted. Khushi came running back as if pulled by a magnet. “What happened Arnavji?”, asked Khushi. “What do you mean ‘what happened’? Lucknow? You didn’t say anything about Lucknow, dammit. You are going to Lucknow,today?” Arnav blasted. Khushi was surprised and confused. “Haan. I thought you knew Preeto now stays in Lucknow. It was you who had transferred her husband to Lucknow on promotion as the Chief Manager of the Lucknow division, remember? And why are you so worked up about me going to Lucknow? Me and Jiji have been going there often to visit Amma, Babuji and Buaji. In fact, Jiji wanted to join me this time too, but the doctor had told her to avoid long travels during her pregnancy. So I would be going alone. And I have travelled alone before. So there really isn’t a problem.” Khushi said matter-of-factly. Arnav didn’t know what to say. Khushi was right. The fact about Preeto and her husband being in Lucknow, had momentarily slipped from his mind. 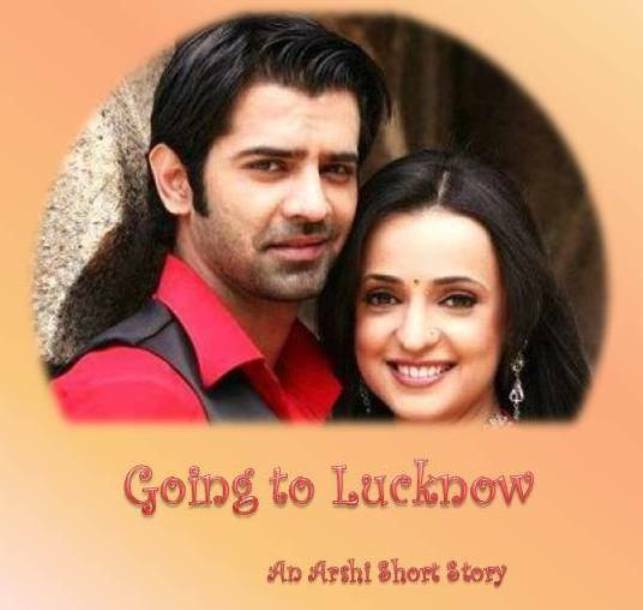 And Khushi and Payal had made several visits to Lucknow during the last few years. But that dream … why that dream had to come just today? Must be the sub-conscious mind playing with him. Arnav decided not to tell Khushi about the dream. But, there still was no calming down of the heart that kept sending worried signals. “Ok, ok. But why go by train? It’s a long journey. You can go by helicopter. I will call Aman to arrange for it. You can reach within an hour,” said Arnav. “What? Go by helicopter? I am not going to go on any ‘udan khatola’(flying ship) of yours. You know I get very frightened when it is in air. 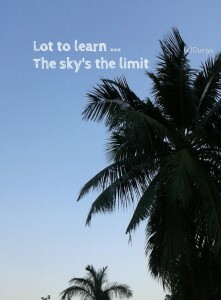 No way am I going by helicopter.’, declared Khushi. “But you have traveled with me several times by air, haven’t you? You must be used to it by now”, said Arnav. “Yes, but I would hold your hand then. And all my fears would go away”, said Khushi smiling, holding his arm and looking lovingly into his eyes. 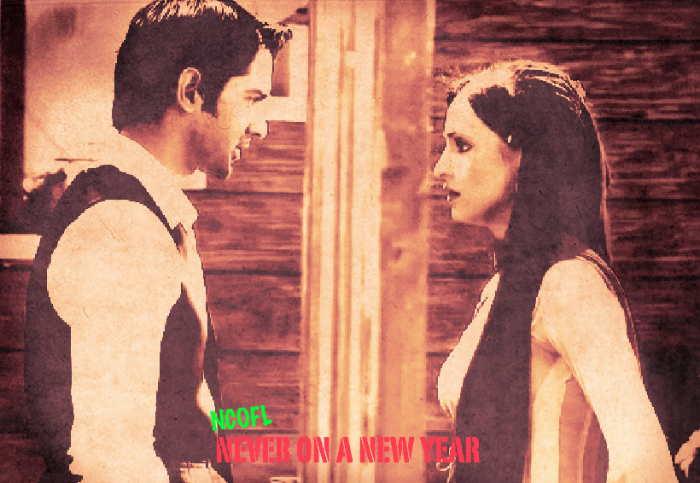 “But Khushi …. “ Arnav pleaded with his eyes. Khushi cupped his face and said, “Don’t worry Arnavji. You know how I enjoy travelling by train. I will take very good care of myself and I will try to come early, okay? Arnav nodded. He had no other option but to let her go … to Lucknow. The very word started to make him restless. Khushi went back to the kitchen to help complete the work. Meanwhile, Arnav called Aman to inquire about the tickets and about some other official matters. It was almost noon when the Raizada family returned from the temple. Payal had stayed back home to avoid exertion. So she decided to make sure that the lunch was ready by the time they came. After lunch, everyone could take a well deserved rest. She also knew that her pagal sister would be in a rush to leave for Lucknow. If the lunch wasn’t ready, she would skip it altogether. Hence she decided to add jalebis as well to the menu. That would slow her down, thought Payal and giggled. Soon, everyone was at the table and talking about various topics. About Nanaji, the temple visit, the donations, their reactions and then somehow the topic veered to Lucknow. The morsel of food that Arnav was chewing slipped down the throat and he let out a cough. Lucknow was still giving him jerks. He excused himself from his table and went to his room. The others, though initially surprised by his reaction, realized that since Khushi was leaving for Lucknow, Arnav was unhappy about it. While they tried to hide their giggles, an embarrassed Khushi too excused herself and followed Arnav to their room. Arnav took a deep breath. He realized that stopping Khushi from meeting her friends, wasn’t fair. He wanted Khushi to do the things that she wanted to do, the things that made her happy. And whenever she would be happy, there would be a glow on her face which he loved very much. He had to let her go, so she could return to him with that special glow. “No Khushi, I am sorry for my behavior. You go and have a good time. Don’t worry. And anyway, I have lot of things planned to do with Nani. So you spend the time with your girlfriend and I will with mine,” winked Arnav and laughed. “Haww, you called Naniji your girlfriend! Wait till I tell her, she will give you a nice lecture,” said Khushi. “No use, she already knows,” Arnav laughed again and Khushi joined him. Hi Javeria. Happy to see you here. It’s a small sweet story. Hope you like it.